Paying off debt doesn’t necessarily mean you have to earn more, in fact, a more effective strategy is to save more. 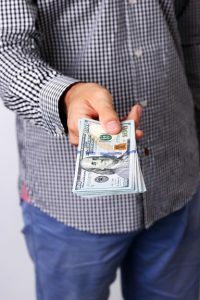 Part of paying off debt is about being financially responsible, however, it never hurts if you live in a city or state that allows you to leave cheaply. In a recent report on the top cities in America to pay off debt, Houston, Texas ranked amount the best. The study, conducted by Student Loan Hero, looked at annual wages, cost of basic living expenses, and federal, payroll, state, and local income taxes for 159 U.S. cities in order to determine the best places for those in debt to make their financial comeback. When considering the best place to pay off debt, these figures give a general idea of the average disposable income, money left over after basic living expenses such as food and rent, for each city. With its moderate living expenses, low tax rates, and below average unemployment rates, Texas scored high with three cities including, Houston, San Antonio, and Austin all ranking in the top ten best places to pay off debt. When considering the best places to live in order to pay down debt, higher than average credit scores are a leading indicator as well. Houston, Texas having a higher than average credit score demonstrates that residents are keeping up with debt and making payments on time. When you consider that Texas is one of the nine states in the country that don’t have an income tax, it’s not surprising to learn that Dallas and Amarillo also ranked in the top 20 of the best places to pay off debt. With so many individuals getting a handle on their finances and paying back debt faster than other areas of the country, the number of individuals filing for bankruptcy in Houston, TX has been on a slight decline as well. Another great case for moving to Texas in order to pay off your debt, is the generous bankruptcy exemptions that Texas offers as a state. It’s important to note that U.S. Bankruptcy laws require that you maintain your primary resident in a state for 730 days before you are able to use that state’s exemptions. Thus, moving to Texas to work on improving your finances is a smart bet, as even if you are unable to pay of your debt after 2 years, you can work with a bankruptcy attorney to discharge unsecured debt in order to get caught up on other payments and improve your credit.